Safety on the road should be a top priority for all drivers, but most of us will experience an accident that is not our fault. According to the National Highway Traffic Safety Administration (NHTSA), over 2.3 million people were injured as a result of an accident in 2013. Whether it is on a busy highway or a seemingly quiet neighborhood street, car accidents and the personal injuries that come with them can take place at any time, for a variety of reasons. To help you create a safer driving experience for you and your family, and to help avoid the financial and emotional burdens of a car accident, it is helpful to understand the most common causes of accidents on the road. While each of these activities poses a threat to drivers and passengers in a vehicle, texting while driving is often the most concerning. The act of reading or replying to a text message requires the same combination of visual, manual, and cognitive skills that are necessary to safely operate a car, which increases the risk of causing an accident and the danger of personal injury exponentially. In addition to distracted drivers, individuals who are impaired also pose a serious threat to themselves and others on the road. According to the Centers for Disease Control and Prevention (CDC) Injury Center, 31% of fatal car accidents that occurred in 2012 were due to alcohol-impaired drivers. While most drivers quickly identify impaired driving with drunk driving, impaired drivers can also be categorized as those with a high level of exhaustion/fatigue or someone who took a mind or mood altering drug or prescribed medication prior to getting behind the wheel. Each of these circumstances can lead to slower response times or rash decisions that could ultimately result in an accident and personal injury. When a driver is unable to see the road or other vehicles clearly, accidents are bound to happen. Heavy rainfall, snow, and fog can all impact even the most experienced drivers, and at times, unexpectedly. Accidents may not be easily avoided during a sudden downpour or an early morning commute through dense fog, but a quick check of the weather prior to getting behind the wheel is a smart safety precaution. While there is no way to know what we may face once we are on the road, we can take steps to reduce the possibility of being in an accident. Knowing the common causes of car accidents and taking care to avoid them are important aspects of driver safety. At Van Sant Law, we understand how car accidents caused by another distracted or impaired driver can negatively impact your life. Personal injury, that is the result of a car accident, can wreak havoc on your emotional and financial health as much, if not more, than your physical well being. Our experienced team of attorneys takes great care to ensure clients are compensated fully from insurance companies through intense investigation and pursuit of accident claims. 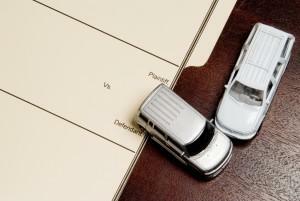 If you have been the victim of a car accident, contact us today for a no-cost consultation.